I decided to explore more of the CHANEL fragrance family with CHANEL CHANCE EAU VIVE line because I was searching for a light, citrus-focused scent to work with the summer heat. Even though CHANEL CHANCE EAU VIVE has a nice base of floral notes, it's the bright grapefruit and blood orange that hooked me right away. 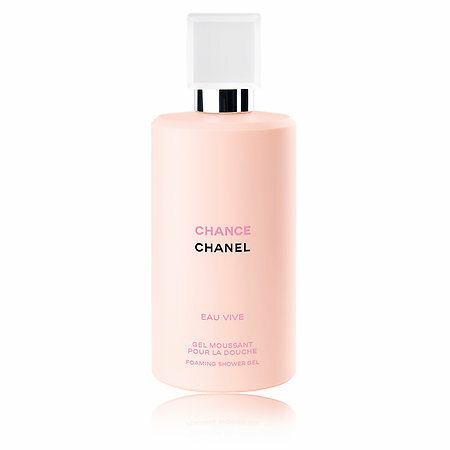 I wanted to layer the fragrance for the summer, gave the CHANEL CHANCE EAU VIVE Foaming Shower Gel a try and I love it. The Shower Gel is silky and very concentrated, making big, soft suds. It cleans well without stripping skin and rinsed very clean with no residue. The beautiful, bright crisp scent of CHANEL CHANCE EAU VIVE lingered softly on my skin even without the CHANEL CHANCE EAU VIVE Eau de Toilette Spray layered over it. It also retains that crisp, dry feel from the cedar-iris notes, which I love on very hot days. CHANEL CHANCE EAU VIVE Foaming Shower Gel is perfect to elevate your showering experience with a chic, sophisticated scent that makes you feel fresh and clean in the hottest and most humid weather.